Want to boost attendance at your next event? 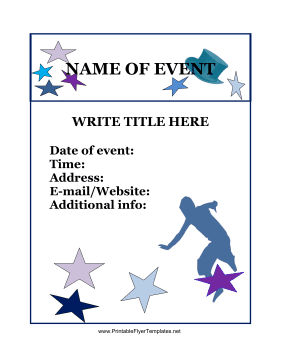 This event flyer is adaptable to nearly any kind of event, and it is very easy to customize. You can put in the date, time, address, and website of your event, as well as any important details. These stars will be sure to grab the attention of passers-by!